Easter time is such a joyous time. How could it not be? The resurrection of Jesus Christ and the accompanying symbols of Easter represent hope, immortality and eternal life. Some of those symbols even carry over into many foods (see recipe below). Olive oil, eggs and 33 layers of dough are some of the beautifully symbolic ingredients for this savory spinach and egg pie, which is very common in Argentina, Italy and Spain (originating in the Middle East). Many countries have a long, long history of using the symbols of Easter in specialty foods which they make once a year. Torta Pascualina is one of them. I learned to make this many years ago when I was an LDS missionary in Argentina and I love the meanings the ingredients contain. 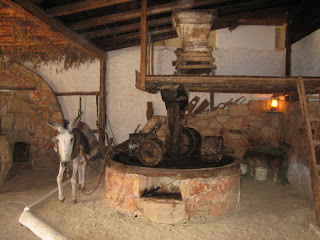 Olive Oil & the Olive Tree: They are symbols of immortality and eternal life. If an olive tree "dies", new life springs from the base of the tree as budding shoots sprout. The tree eventually grows back to life again. This horticultural phenomenon took on mythical proportions thousands of years ago for the Greeks, Egyptians and Romans. No wonder the olive tree is called "the king of all trees" in the Bible, which makes over 140 references to olive oil and hundreds more to the the olive tree itself. 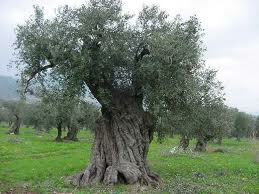 The olive was so vital to the Greeks that Solon passed the "Olive Protection Law" in 620 B.C. This law carried a death sentence to anyone found guilty of uprooting or destroying this sacred tree. In Exodus 30: 22-31, we learn that olive oil is the holy oil used for anointing people to sacred callings, so that the spirit of God may come upon the person to set them apart for a God-given task. How fitting, then, that the Hebrew word for Christ, mashiach (or Messiah), means "anointed"; Christ is The Anointed One. And, the classical Greek word for Christ, Khristós, means covered in oil, or anointed, being a literal translation of Christ's name "Messiah". There is even more to the olive and olive oil. The olive branch is a symbol of peace, and what was another name for Christ? The Prince of Peace. Eggs: They are a Christian symbol of the resurrection of Jesus Christ. Famously, red-dyed eggs, part of Greek Easter celebrations, are a symbol of the blood of Christ and rebirth. 33 Layers of Pastry: The number of years that Christ lived on earth. The traditional Italian recipe for Torta Pascualina, which dates back to 16th century Liguria, Italy, calls for 33 layers of pastry for this reason. Preheat oven to 375ºF. Grease a 10- or 12-inch spring form pan. 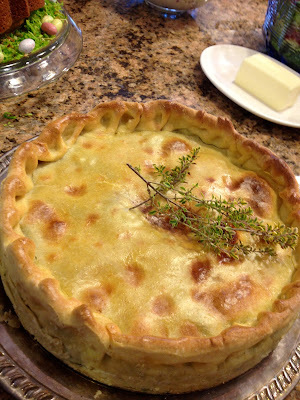 Place the flour on a pastry board, making a well at its center. Place the egg yolks and the olive oil in the well. Gradually work in the flour, adding enough lukewarm water to make a stiff dough. Knead the dough until it is smooth and elastic. Cover with a cloth and set aside for 10 minutes. Begin making the spinach and egg filling. In a small bowl mix the breadcrumb with the milk, salt, pepper and nutmeg, and set aside until breadcrumbs absorb milk. In a saute pan, fry the onion until transparent and add spinach (make sure moisture has been squeezed out). Reserve the 8 eggs for later. Blend breadcrumb/ milk mixture in a blender. Combine the spinach, breadcrumb mixture, and Parmesan cheese. Mix well and set aside. Cut the rested dough into 4 pieces—2 slightly larger than the other two. Roll out the 2 larger pieces of the dough as thin as possible on a lightly floured board (the dough needs to be rolled out big enough to come up the sides of the pan. Brush the dough with a little of the oil. Roll out the other two pieces of dough. Place the 2 larger layers of dough on the bottom and up the sides of the springform pan. Add spinach filling evenly over the dough in the baking dish. Make 8 evenly spaced depressions on the spinach mixture, using the back of a large soupspoon. Break an egg into each deep depression and sprinkle it lightly with salt. Cover with the remaining 2 layers of dough, sealing and crimping the edges carefully. Beat remaining egg and water in a small bowl. Brush top crust with this. Bake for 30 minutes, or until crust is lightly golden. Serve hot or cold.